A group of Yemenite Jews prepare to board an Alaska Airlines aircraft in Aden, Yemen. The plane took them to safety in Israel. Photo from the Alaska Airlines archive. In 1949, the world was continuing to recover from the end of one of the most horrific wars in human history. After the horrors of the Holocaust, Jewish refugees scattered throughout the world were looking to start over in Israel, but the process was not easy. Not only did many groups face logistical challenges, but they also faced a great deal of violence. In addition to Europe, many lesser known Jewish communities resided in the Middle East, in predominantly Arab countries. With the establishment of the State of Israel in 1948, many of them were facing real danger and had to flee. Some 850,000 Jews had to escape from various countries around the Middle East, making their way to Israel in unorthodox ways. For about 49,000 Yemenite Jews, help would come from an unlikely place – Alaska Airlines. Thousands of miles away in Anchorage, sat James Wooten, Alaska Airlines’ president. After acquiring war-surplus DC-4 and C-46 aircraft, Wooten was brainstorming creative ways to utilize the new fleet. Wooten converted a few DC-4s to full freighter aircraft to carry cargo in the 1948 Berlin Airlift. But the most creative and noble use would come later in 1949 with a mission known as “On Eagles’ Wings” where the airline would assist in transporting Yemenite Jews to Israel, seeing it as a humanitarian obligation to help people facing grave danger. Photo from the Alaska Airlines archives. 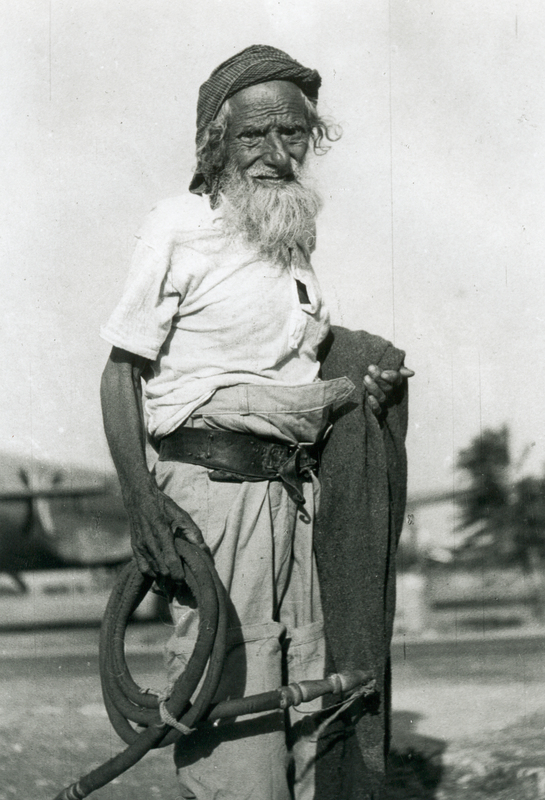 A Yemenite Jewish man awaits transport. Photo from the Alaska Airlines archives. A family of Yemenite Jews awaiting transport to Israel. Photo from the Alaska Airlines archives. But as violence ensued in the region, the fulfillment of that promise couldn’t come soon enough. 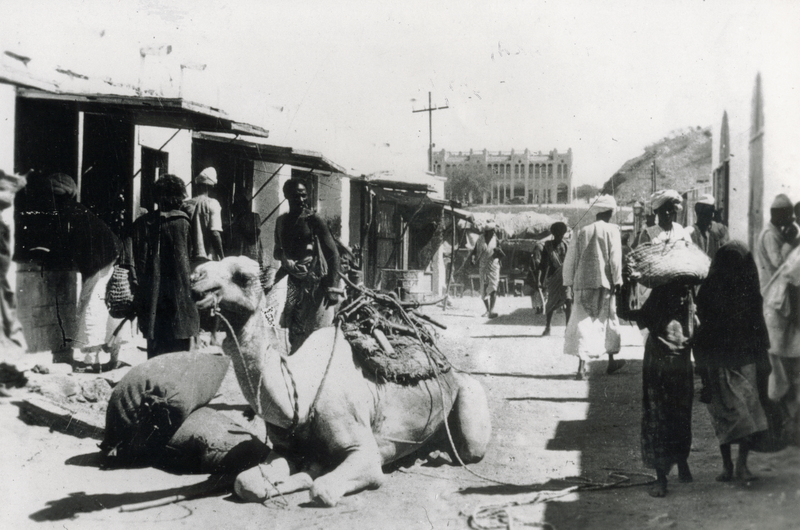 With the end of the war and Jews migrating to Israel, Yemenite Jews began to arrive in Aden, Yemen – the country’s main port – in the hopes that they, too, could be rescued and returned to their homeland. Many lost their lives along the way, either by disease or starvation, or random attacks by hostile locals. Their escape was vital. Captain Elgen Long was working for Alaska Airlines as a navigator for its missions overseas. Far removed from the time of radar or GPS, pilots used celestial navigation to steer through the skies. This required the use of sextant (to calculate angular measurements), and a chronometer (to keep time). The original sextant Captain Elgen Long used during the 1949 airlift. Long served as Alaska Airlines’ navigator throughout the mission. Photo by Perry Bindelglass. In the United States, radio time signals were used to aid in navigation, but overseas, Long needed a chronometer. While awaiting orders in France, he was unable to find a high-quality chronometer, and instead purchased a Rolex watch – which is a certified chronometer – to help him keep time. The watch is still ticking and on Long’s arm today. Long’s original Rolex watch, which he used as a chronometer on the flight, is still ticking on his arm today. Photo by Perry Bindelglass. From there, the crew made their way to Shanghai, where they began transporting Jewish refugees to Israel. Due to the hostile territory, they could only stop for fuel at British military bases. After a few trips between Shanghai and Tel Aviv, Israel, the crew received new orders sending them to Aden, where they were told a group of Yemenite Jews was awaiting transport. The crew soon found out that the “group,” in this case, was made up of thousands. And in Aden, there was no place to shelter, protect or feed so many people. When the British military asked how many people the Alaska Airlines DC-4 could carry (48), it was determined that the aircraft in its current configuration would not work. A large gathering of Yemenite Jews awaits transport in Aden, Yemen. Photo from the Alaska Airlines archives. Upon further brainstorming and calculating, the crew determined the aircraft was more than capable of carrying additional weight, and decided to remove all the seats to accommodate more people. It wouldn’t be a comfortable way to travel from Aden to Tel Aviv, but it would get the job done. “This was a matter of life and death,” Long said. By removing all the seats, the Alaska Airlines DC-4 could carry over a hundred people. A group of Yemenite Jews prepare to board an Alaska Airlines aircraft in Aden, Yemen. The plane took them to safety in Israel. Photo from the Alaska Airlines archives. Many Yemenite Jews had never flown on an airplane, and even in this life and death situation, they were hesitant. But not because they were not brave – after all, they had been escaping persecution for centuries. First of all, it was a first for them to see an airplane, as such signs of modernity didn’t exist in Yemen. Secondly, the first Yemenite Jews were hesitant to board the aircraft because it was the Jewish holy rest day of Sabbath. With their Rabbi’s permission, the Yemenite Jews agreed to fly. The crew fit as many as they could into the aircraft. Long carefully navigated the aircraft up over the Red Sea to avoid any detection or fire from hostile forces. For this reason, the flights were also kept secret. Children were among those brought to Israel “on the wings of eagles.” Photo from the Alaska Airlines archives. Long recalled the crew flying back and forth between Aden and Tel Aviv for seven days straight. Running on adrenaline and the determination to do the right thing, they decided there was no time for significant rest during this critical time. A group of Yemenite Jews waits to board an Alaska Airlines aircraft. Photo from the Alaska Airlines archives. Gratitude is a hallmark of the Jewish faith, with the concept of “Hakarat Hatuv” literally meaning “recognizing the good” in Hebrew. Because the mission was kept secret for years after, recognition wouldn’t come until 2013 when the Alaska Jewish Museum highlighted the historic airlift. The exhibit, titled “On the Wings of Eagles: Alaska’s Contribution to Operation Magic Carpet,” detailed the story of Alaska Airlines’ efforts to avert a humanitarian crisis. Shahar Azani, executive director of the Israel Education Organization, StandWithUs New York, said his grandparents and extended family were Yemenite Jews brought to Israel “on the wings of eagles.” Azani learned of Alaska Airlines’ involvement in the airlift when he visited the Alaska Jewish Museum on a trip to Anchorage. Inspired by his trip to the Alaska Jewish Museum, Azani put a plan into action to bring together Long, Alaska Airlines and Leslie Fried, curator of the Alaska Jewish Museum for a story-telling and recognition event. Long joined Leslie Fried, curator of the Alaska Jewish Museum, on stage at the Museum of Jewish Heritage in New York City for a discussion of the events of the mission. Photo by Perry Bindelglass. The event came to life on Sept. 12 in New York City, where Alaska Airlines was presented with the StandWithUs Savior of Israel Award for their participation in the operation. Long received the American Sephardi Federation’s Maimonides Friendship Award, and is the last surviving Alaska Airlines crew member who participated in the airlift. The event also served to share the details of the unique airlift with a broad audience. Long shows his original Rolex watch to Ofir Akunis (center), Israel’s minister of science, technology and space. Photo by Perry Bindelglass. Captain Elgen Long received the American Sephardi Federation’s Maimonides Friendship Award. Photo by Perry Bindelglass. Long signs copy of his book “On Eagles’ Wings.” Photo by Perry Bindelglass. Alaska Airlines and Captain Elgen Long were honored at the Jewish Heritage Museum in New York City on Sept. 12, 2017. Photo by Perry Bindelglass. While much has changed for Alaska Airlines since the operation, at least one thing remains – the concept of doing the right thing. The exhibit, “On the Wings of Eagles: Alaska’s Contribution to Operation Magic Carpet” can be viewed at the Alaska Jewish Museum in Anchorage from 1-6 p.m. Sunday through Thursday. More information on the airlift can be found at the Alaska Jewish Museum website. Long has also penned a memoir titled, On Eagles’ Wings, detailing his personal experience during the mission. The book is available for purchase here. Event photos by Perry Bindeglass at Bindelglass Photo. 21 comments on "From the archives: How Alaska Airlines evacuated 49,000 Yemenite Jews to Israel ‘on the wings of eagles’"
I have written about this story and hope to include it in a children’s book about modern Israel in the near future. I have 2 questions – Is it possible to receive a copy of Captain Elgen Long’s book “On Eagles’ Wings” before it is released? I would love to reference his book. And do you have any pictures of the eagles’ wings painted over the doors of the planes, as has been written about elsewhere? Thank you for this blog, and thank you Alaska Airlines for the company you are! Thank you so much! Just ordered it! Thank you for sharing this absolutely wonderful account of God’s faithfulness – He indeed keeps His promises. Alaska Airlines has just become my favorite airline and I’ll remember this story every time I have to pick a flight and Alaska is an option. As a Christian, I love Israel and I love those who love my King’s people. This is a most unexpected and wonderful story! Based on this alone I am motivated to do all I can to use you more as my airline of choice. Thank you! Beautiful and honored to have been a small part of this. I owe my life to the good people who made this happen. Thank you! This is one of The greatest stories I have ever been made aware of about my favorite airline, Alaska airlines! I’m so happy to have been able to read it in this blog! Thank You Alaska for all of the times you have come to my aid over the years! My deceased husband (a former Navy pilot and United Airlines pilot) would be inspired by this story! Thank you so very much for sharing it! Super interesting and important story, and I’m glad Alaska Airlines, just few years after the holocaust, made those efforts. What a beautiful story! I’m in-flight right now, and wiping tears from my eyes after reading this. God is good! Excellent bit of history. I live in Anchorage without knowing we had a Jewish museum. I will make it a point visit soon. Great read in honor of Rosh Hashanah. This heartwarming historical event would be made into a movie . 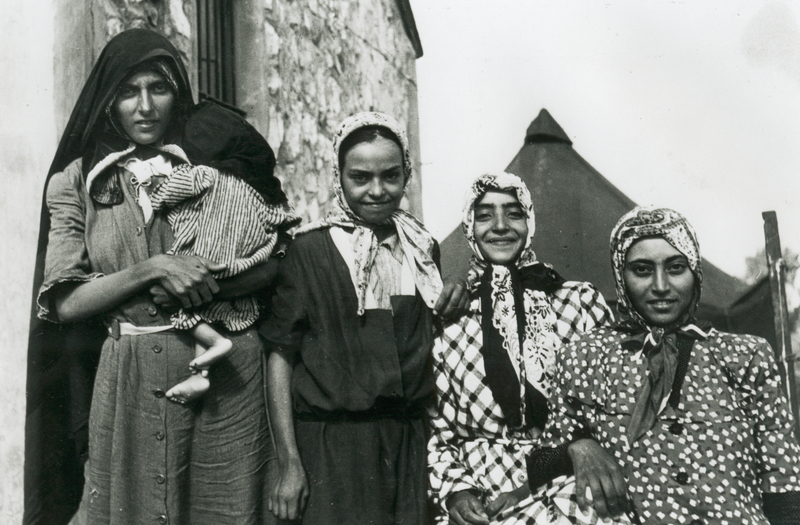 What an incredible story about saving the Yemenite Jews on the wings of eagles. Thank you, Alaska Airlines, for your compassion, service, continual leadership, generosity and mission to do the right thing. Through the years , past, present and future, you have been, are and will always be my favorite airline. No one comes even close. I read this little story with much interest. An amazing short story of which I’d like to read more in the upcoming book. But you say “Hundreds of thousands of miles away in Anchorage, sat James Wooten, Alaska Airlines’ president.” Since the circumference of the earth is 24,901 miles, that means the farthest one can be away is half that. Or about 12,500 miles. Hardly “hundreds of thousands of miles” Now, if Mr. Wooten was on the moon, which is 238,900 miles away, then it would have been possible to say he was “hundreds of thousands of miles” away, lol. But I don’t think that would have been possible as it would be more than two decades before man would set foot on the moon. In any case, the heroic endeavor by Mr. Wooten and crew should be recognized and applauded. Thanks, Eddie! Anchorage is far from Yemen, but definitely not as far as the moon 🙂 We have updated the story. I suspect that Wooten was not “hundreds of thousands” of miles away. That would put him somewhere on the moon (240,000 miles) or beyond. Neil Armstrong would not have gotten as much press as he did in 1969 if this were accurate. You are absolutely right! Thanks for catching that. The story has been updated. Beautiful heartwarming piece. But as always Alaska Airlines came through to make the difference. I went to the museum in Anchorage and really admire your airline’s commitment to higher values.